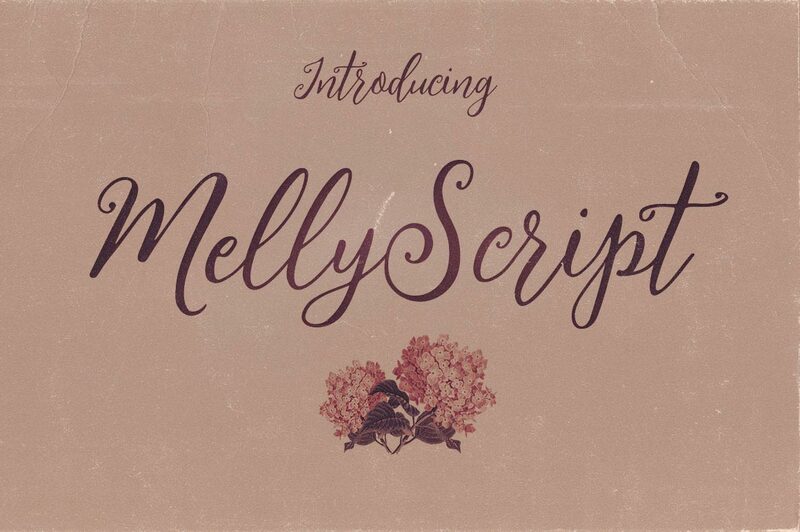 Melly is a script and sans-serif font duo that comes packaged as individual TTF and OTF files. The script variant includes uppercase, lowercase, numerals and punctuation glyphs, along with a selection of ligatures and stylistic alternate characters. The sans-serif Ruas font is an all-caps design, supplied in Regular and Grunge variants. The two fonts work together perfectly for creating great looking logos and brands, or artistic lettering pieces such as quotes and type designs. Oh, cool! Thank you! Thanks to Deezy, too!